It is rare that I publish a guest post, yet people ask to write them all the time. I can say no to friends and acquaintances, but not to someone who wears the pants in the family. I was surprised when Andrea suggested a guest post, but I’m thrilled that she put the time into doing it, and cannot think of a better way to end the coverage of the experience. Thanks for sharing your story, honey! My brain is full of useless information. I blame my childhood love of the World Almanac Book of Facts, and all the time I spent sitting in front of the television. 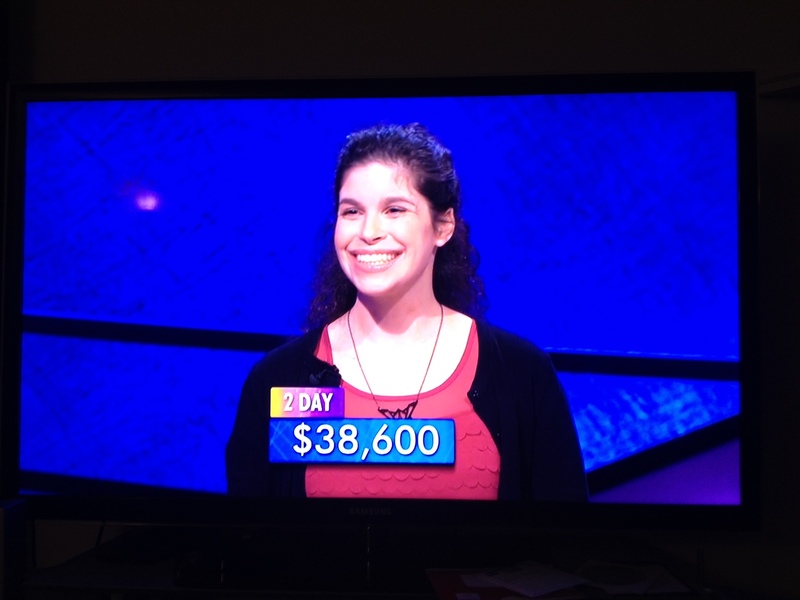 For years, my family members (including my husband, Mr. SteepClimbs) have asked me to try out for Jeopardy. You would think that I would jump at the chance! Trivia and television? However, I was reluctant, a fear that stems from a lifelong trying to overcome crippling shyness, and also doubt. 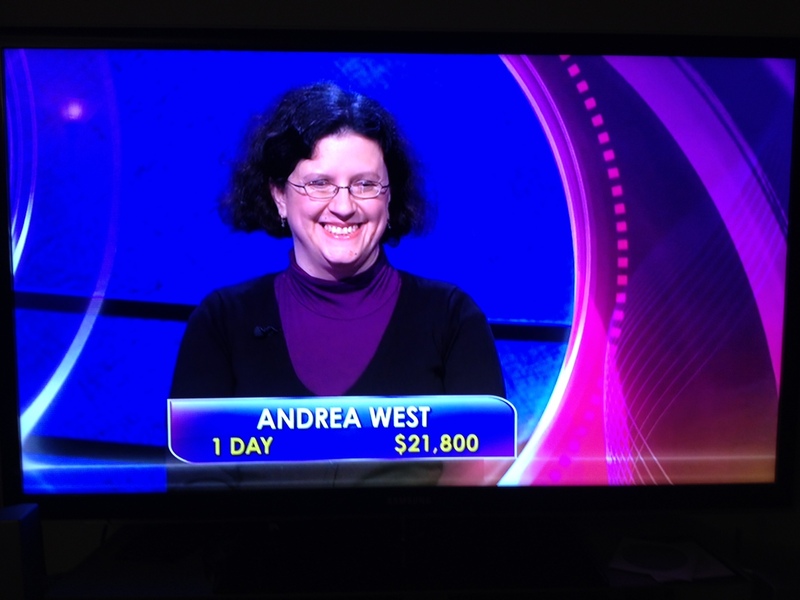 Those Jeopardy contestants are so smart and poised. What would my short, plump, frizzy-haired self look like on television? I didn’t want to think about it. Finally, in early 2013, I threw caution to the wind and took the online test. I fully expected nothing would come out of it, and I would go back to enjoying Jeopardy in the comfort of my own home, yelling out the answers to my television screen. You can imagine my surprise when a few months later I got an email asking me to come to Nashville for another tryout. 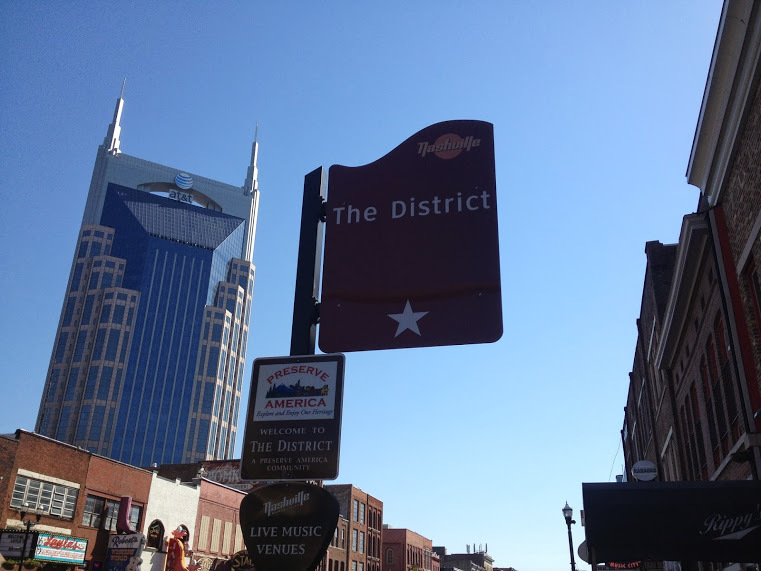 The timing was perfect, right in between my spring and summer semesters teaching, so I booked a flight to Music City. The second phase of the process, after the online test, involved a written test, an interview, and a mock game with other candidates. I was doing well in the mock game, nearly running the Movies category, until I confused The Green Lantern with The Green Hornet. As a huge fan of German actor Christoph Waltz, who was the villain in the latter, I felt especially mortified by my wrong answer. So what did I do? I blurted out the right one after I had been ruled incorrect. I thought for sure, with this faux-pas, that this would be the end of the road. The member of the production crew was telling those of us who gathered all about what would happen if we got “The Call” to be on the show. Frankly, I was only halfway paying attention at this point, thinking that I had no chance and that I’d wait out the 18 months and take the online test again. I taped in the middle of Arthur Chu’s well-documented run. When those of us who were brought to Sony Pictures Studios were led into the green room, we half expected to see him there. No Arthur. It turned out that between Arthur’s run and our taping, there was someone with an even longer streak, 20-game-winner Julia Collins. The first-round anecdotes were prepared, and the production crew gave us a helpful talk on game strategies and legal stuff. We were warned what would happen if we revealed any outcome or any question before our episode aired. Let’s just say I was scared into that poker face that Joey Holleman noted in his State article. We were brought out to rehearse. I thought we were going to go to some mock set, but no, they brought us out on the real Jeopardy stage. I can’t speak for my other contestants, but I was awestruck. Wow, there’s the board. Wow, there’s Alex’s podium. We rehearsed, and then we waited in the contestants’ allotted section of the audience. The first episode taped; and then the second, the third, break for lunch, fourth episode and finally the fifth. After the contestants for the fifth episode were announced, I knew I was coming back for Wednesday’s taping. I had mixed feelings, mostly because I was concerned for Aaron and his injury, but I knew I’d be less nervous. After repeating the Tuesday process, sans the shrimp-and-grits “Hometown Howdy,” I was called to the stage for the first game, which would be broadcast on Monday, June 16th. Phew! This was it … and I had to face Katie. Katie and I had a lot of similar strengths from what I could tell. And as Aaron has written, I like Katie. But I still wanted to beat her. Thanks to a big wager, I did. Some of my family members have noted that I don’t gamble and I’m a rather frugal person, but that $10K bet didn’t feel like “real” money if that makes sense. Plus, my degree is in linguistics, so “Word Origins” was a category right in my wheelhouse. Yes, luck played a role, as it often does in life. “Conspiracy” — I now love that word. Andrea beat a formidable opponent in Katie. The less said about Tuesday’s game, the better. And please don’t say anything about the Big 10. Or Big 14? I rue the decision to ring in on that clue! But I did get right to earn second place for a grand total of $23,800. Not bad for about an hour’s work. I was done. The sequestering of the contestants reminded me of a jury, and I got to know some great people. Katie, the two-time champ I beat on Monday; Paige, who beat me; Brian, the champion on Thursday, Peter, my co-contestant in the Paige game, all awesome. Thank goodness for Facebook. The production crew, as Aaron noted, was fantastic, an amazingly well-oiled machine. Someone said to me that we all looked so calm on television. I credit the crew for calming our nerves. They were fun, professional. The lady who did my makeup even said I had great skin! And Alex? Everyone wants to know what Alex Trebek is like. From my observations and interactions, he was affable and funny. I liked the way he used the commercial breaks to talk to audience members. (Aaron: Alex was charming with the contestants and the audience. He’s a pro). 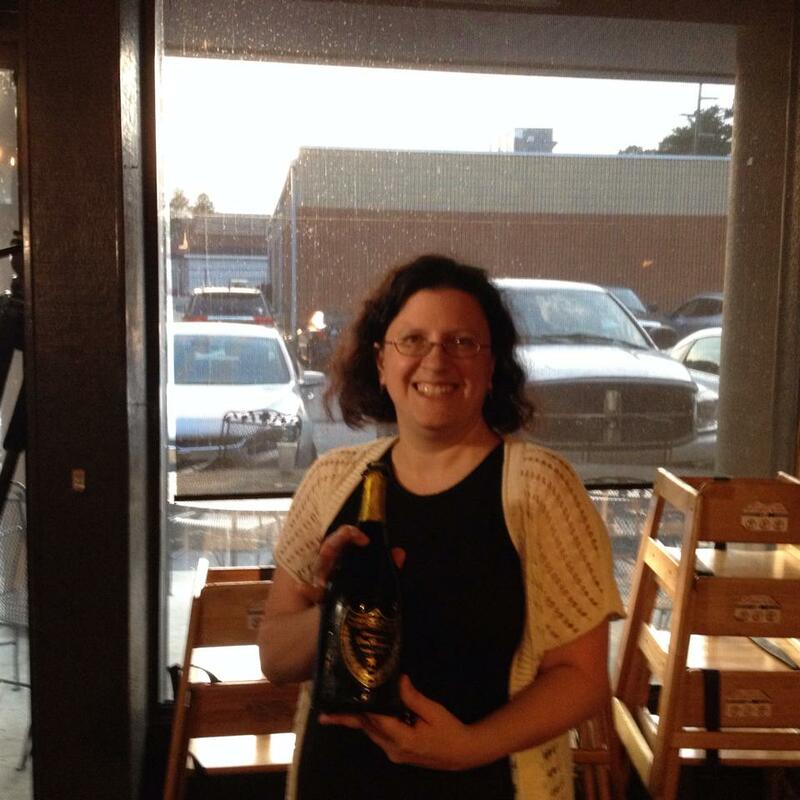 After the California trip, we waited for my television debut. As my husband has noted, the lead up to the appearance was nerve-wracking. First of all, we had to keep everything secret. Even something as simple as what to call the event where our friends gathered to watch me on television was fraught with semantics: a party implies a celebration, while a viewing, as one of Aaron’s Facebook friends noted, sounds like something associated with a funeral. That poker face came in handy. Ha! I am a good actress! I always knew it! I did it! However, despite all the fun I had, I am a little Jeopardy-fatigued. I’ll still watch the show, and I’ll always be a fan, but this past week has been extremely stressful. Even a simple matter like where I’m from became complicated. (My dad’s hometown is Batavia, NY and he promoted me to them. I grew up in Rochester, but they didn’t claim me. It’s all good—my paternal grandparents emigrated to Batavia, and I spent time there, so Batavia can claim me if they’d like.) I’ve lived in Columbia for over two decades now, so it’s my home. Thanks to a friend for making this reaction shot video. This entry was posted on Tuesday, June 24th, 2014 at 4:57 pm	and posted in Jeopardy. You can follow any responses to this entry through the RSS 2.0 feed. Congratulations Mrs. Steep Climbs West. Wow, that has a pretty cool ring to it. In any event, I’ve been following your husband’s blog for quite some time now and I’m genuinely happy for you both.